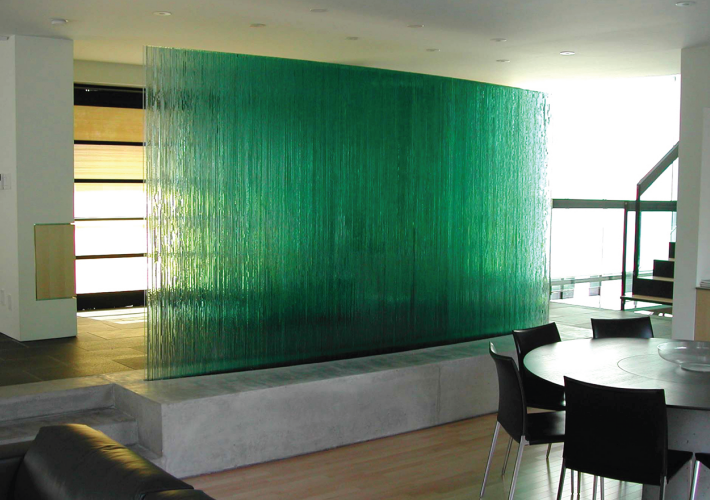 Six hundred hand cut pieces of sheet glass totaling 6000 lb are stacked on end. 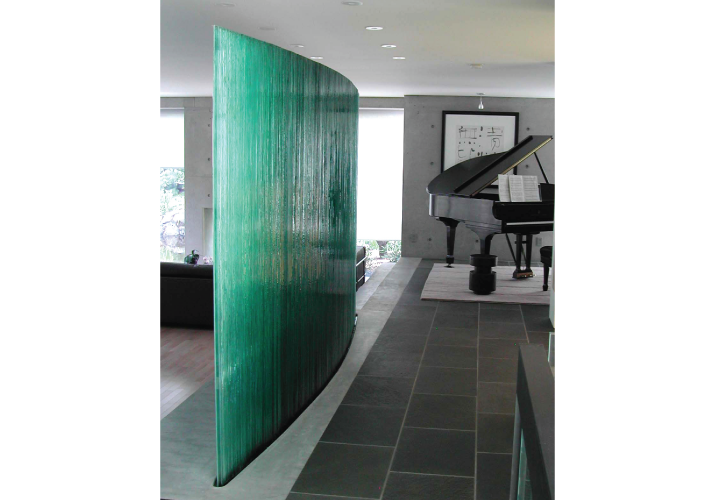 This convex form is evocative of falling water frozen in time and was positioned to take advantage of morning and evening sunlight, which penetrates the foyer of the residence. Design, build, install. In collaboration with Bing Thom Architects.